Pinterest has proven me wrong (many times over). Now I am sure most of you are already familiar with Pinterest and how it works so I won’t go into depth explaining the platform here, but what I will point out is the fact that out of all social media platforms today, Pinterest has proven to be the most profitable. 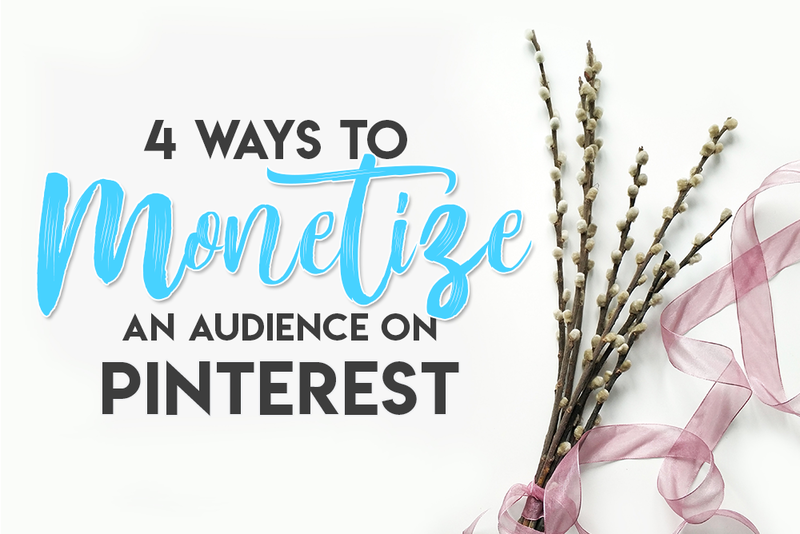 Today, I am going to share with you 4 proven ways to monetize a Pinterest audience. As I’ve said above, I was never using social media to make money, but I was very interested in Pinterest from the very beginning for its viral content potential. Pins spread like wildfire, and unlike other social networks where a post or an update only “lives” for a few days. A Pinterest pin can go on to bring traffic for months and even years. So much so that many experts also claim Pinterest functions less like a social network but rather a social search engine (somewhat of what Google would be if it only indexed images). 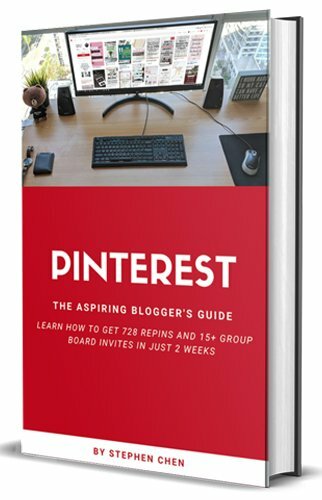 I was lucky enough to have a few pins go viral on Pinterest – mainly my Amazon Associates guide – and that same Pinterest traffic has actually helped me reach my “go-full-time blogging” mark and finally be able to earn a full-time income online. The first thing you need to do before you decide to start using Pinterest as a business tool is to actually get a Pinterest business account. This will open up the Analytics feature for Pinterest giving you deep insights and understanding into what is working, how your pins are performing, what boards are getting the most eyeballs and so on. Luckily; getting a Business account is super easy. All you have to do is register a new account as a Business – if you have a personal account built up already, you can also turn that into a Business Account by switching it via your account settings. Once that’s done, you should see the Analytics tab at the top left corner of the screen. You may also be asked to register a website – if you don’t have one, create one as you are going to need it if you want to make money. Unlike other social networks – the great thing about Pinterest is that it doesn’t require you to have followers in order to get traffic. All you need to do is create high-quality content in the form of long Pinterest-style images and then start sharing. Repinning pins from other people also helps a lot so don’t forget about that and you may also want to share group boards. This is the secret sauce to rapid Pinterest growth. A shared group board gives you access to thousands of followers already and once you start pinning there, you can most certainly expect your content to reach thousands of people which some of them will share with their own followers and so forth. Once you get going, don’t stop. It may seem useless in the beginning but trust me you will see results as long as you keep pinning great pins. Of course, you can see how your pins are doing in the Analytics dashboard mentioned above. (Also note that Pinterest Analytics only updates a twice a week or so so don’t freak out if you see it still at 0 impressions on day 5 – it just means Pinterest needs to get a move on). We also highly recommend you to take Carly’s Pinteresting Strategies online course! 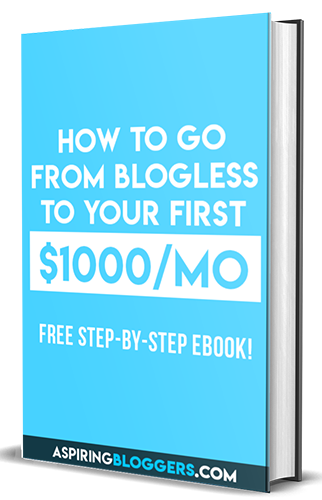 She shows you the exact strategy she uses to drive over 200,000 visitors to her blog every month using Pinterest. It’s a small investment that will make a significant improvement of traffic to your site. Ok, so now you got a thriving Pinterest account with a lot of people viewing your pins and sharing your content. How do you monetize all this? 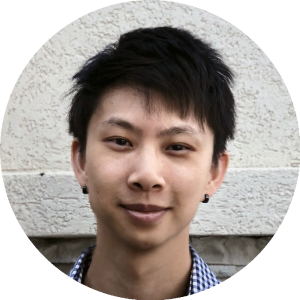 Based off my experiences, this is not only the best way to make money on Pinterest but the best way to make money online in general. Again; it’s not often I recommend social media as a means to drive traffic to affiliate marketing offers, but I’d be lying if I said Pinterest does not contribute to a considerable amount of my monthly commissions. For those who are not sure what I am talking about with this, I have an excellent guide for affiliate marketing on my blog and I also have a free 10-day affiliate marketing course if you are interested. Basically, affiliate marketing involves driving traffic to a landing page on your website and selling a product where you earn a commission from. 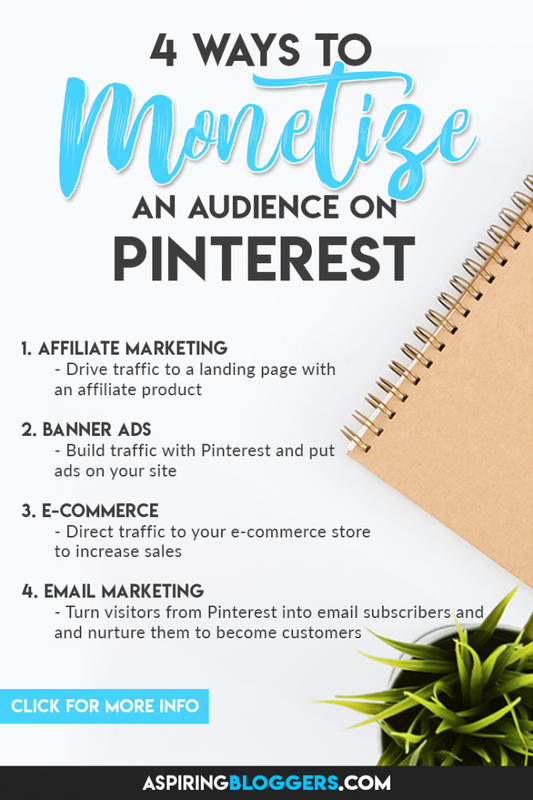 Given the fact that Pinterest users are very keen on spending their money (if the right offer comes up), all you have to do is connect the right product to the right audience and with Pinterest’s viral potential, you’re bound to make money sooner or later. Just make sure you pick the right niche for affiliate marketing. Another major source of income that works amazingly well for Pinterest is utilizing banner ads on your website. Now typically, Banner ads *cough AdSense cough* do not pay much. However; once you start hitting a good stride with your traffic – say 20,000+ page views a month – you can look into joining some premium display marketing networks such as Mediavine. These pay a lot more and all you really need is eyeballs i.e. traffic on your website. With affiliate marketing, you do need to convince a reader to buy something, but with banner ads, all you need is the traffic – once you have that; you will make money. Once you have figured out what is working and what type of banners are making you the most $$$, all you need to do is tweak your Pinterest content to cater for that specific audience and continue creating content and driving traffic to your website. Another great way to monetize your Pinterest audience is through e-commerce. We all know how great fashion and home accessories pins perform on Pinterest and many are using this to build up a great traffic source for their e-commerce stores. Now you may think starting an e-commerce store is a complicated matter – I did too – but believe, using Shopify and the dropshipping model, you can have a store up and ready receiving orders starting from today – yes I mean today. While I would not suggest you start here first with monetizing your Pinterest, it’s good to keep in mind for a later date once you have fully understood the mechanics of how it all works. 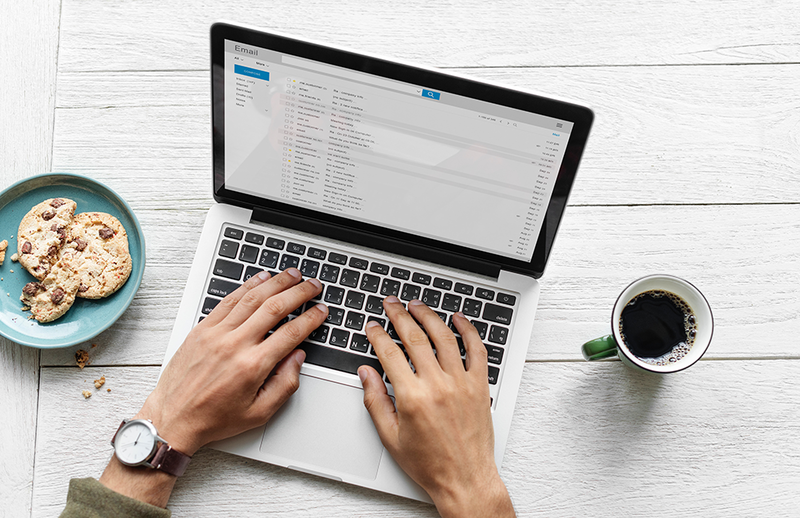 Last but not least, we have email marketing and this too is a favourite for many online marketers and have been for decades – simply because it works so well. With so much traffic potential Pinterest has and the obscene amount of traffic you’d be driving to your website, it makes no sense to let them all go forever. Simply set up an email sign up form related to your niche and start collecting emails. But how do you monetize an email list? However, you want – that’s the beauty of it all! You can even create your own products down the line and sell them through there if you wish or, you can use your list to promote affiliate offers as mentioned above. Whatever you decide to do with it, having a thriving and engaged email list is the best thing you could do as you “own” that traffic. 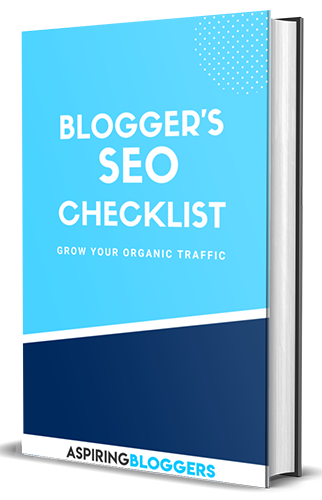 While I do love Pinterest and SEO, I can not guarantee they won’t all change their systems tomorrow and suddenly I’m out of business – with the email list built up, I have my best customers locked and loaded ready for me to email at any time. Thank you very much for reading this post. If you have any questions regarding how to monetize your Pinterest audience, be sure to let me know down below as I’ll be more than happy to answer any questions you may have. While you’re here, I’d also recommend you check out some other content from AspiringBloggers which would help you understand better how to use all the freely-available internet to build yourself a great business you can be proud of. Whatever approach you take – just keep at it. It won’t be easy but I promise it will be worth it.